The Dynasty Report is back, looking at sequels. 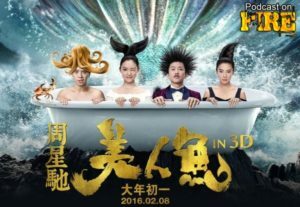 Sequalized due to their quality or due to their box office? Paul Fox and Dr. Lam guides you through these two recent two’s. Click image or link below to access the show! Sabu’s career is ongoing but we’re putting a cap on our coverage of it with this episode covering his 2013 black and white horror movie Miss Zombie. Click image or link below to access the show! 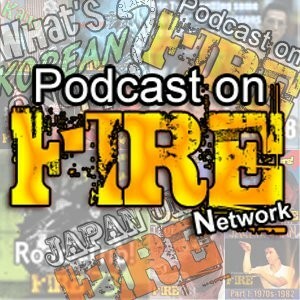 The entire Gambling Season at the Podcast On Fire Network. 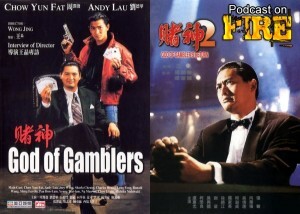 Now that the 6 movie retrospective on the God of Gamblers series, sequels and spin off’s is done, all are conveniently located (including the werbsite exclusive bonus epoisode) via this link http://podcastonfire.com/category/podcast-on-fire/gambling-season/. 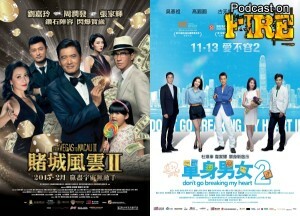 You can also click either image below to access all shows on one page. Dr. Lam heads Paul Fox and Kenny B into the territories of buff bods, explosions and man-tears. 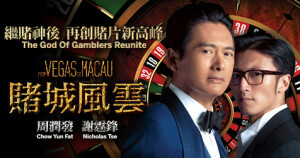 That of course means a roundtable chat between friends on all things Dante Lam, Nick Cheung and the MMA movie they collaborated on called Unbeatable. 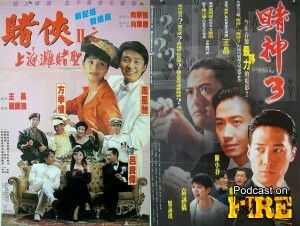 The trio also have time to dive deep into views on Pang Ho-cheung’s Dream Home, Chow Yun-fat’s return to Hong Kong cinema gambling, Michael Wong and Hong Kong cinema profiles making Mainland movies. Click image below or link to access the show!